It’s wonderful to hear back from past clients. 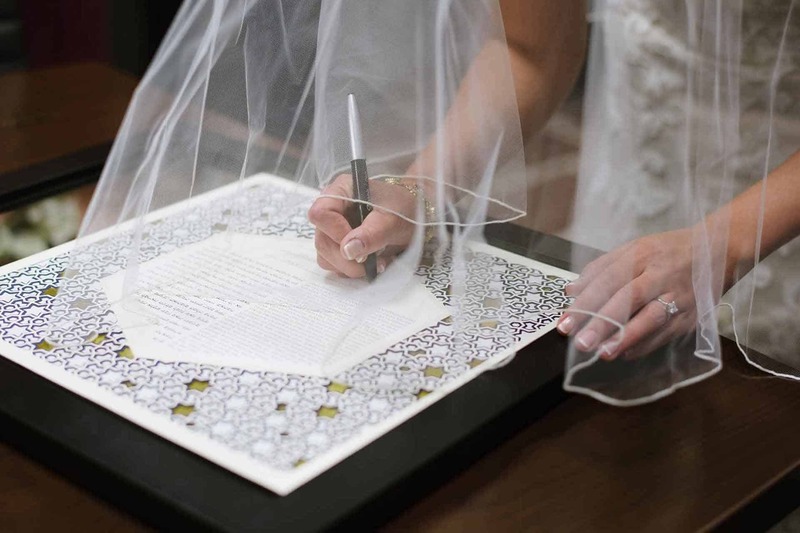 Brian and Deena were kind enough to share these beautiful photos from their wedding. 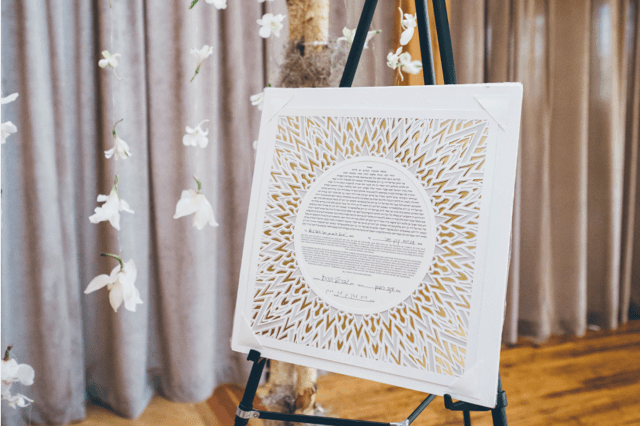 Their ketubah is the Helios design in white, gray and gold. 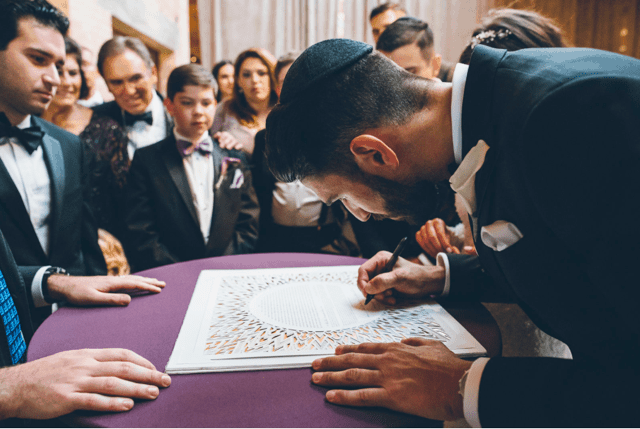 The ketubah you made for us was exactly what we were looking for! You checked all the boxes. 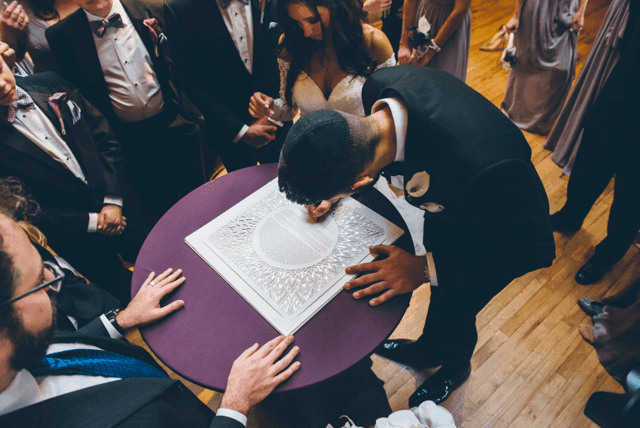 We’ve received so many compliments on it and have it as a prominent piece of art hanging in our living room. Thanks again for being extremely easy to work with and very responsive.